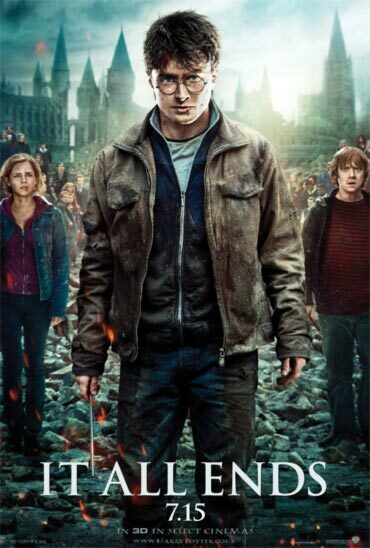 Harry Potter And The Deathly Hallows Part 2, the eighth and final installment in the Harry Potter franchise, makes its way to the big screen this Friday, July 15. 'Part 2, the shortest film of them all, turns out to be everything a summer blockbuster should be but rarely is a whip-smart, slam-bang piece of entertainment where we deeply care about the fate of the central characters (and many subsidiary ones who return for their last bows). After all, we've gotten to know them over nearly a decade (the first Potter film was released a couple of months after 9/11), and I'm happy to report the finale is definitely, positively worth the wait. 'It's not giving anything away to report that Harry Potter and the Death Hallows Part: 2, like Rowling's novel, ends with an epilogue set 19 years in the future. If its film dramatization could make a nonbeliever like me mist up, I can only imagine the effect it will have on the generation that grew up with this series in print and on film." 'The heart of DH2, as in the earlier films, is found in more intimate exchanges involving the amazing cadre of British acting royalty enlisted for the enterprise. You see this in the first scenes, as Harry interrogates the goblin Griphook and the wand merchant Ollivander, momentarily his prisoners. Griphook (Warwick Davis, who also plays Professor Filius Flitwick) is immaculately coiffed, with long, mud-colored fingernails, and endures the grilling with the imperial balkiness of a king kidnapped from a small kingdom and treated without due respect in a larger one. His agreement to help Harry, Ron and Hermione sneak into the innermost vault of Gringotts Bank is presented as a negotiation of weight and delicacy. 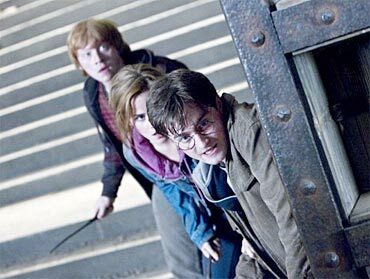 'In the end -- the end before the movie manifestation of Rowling's gentle epilogue -- Harry and his friends are, of course, much older than when they first caught the Hogwarts Express from Platform 9 3/4. And yet, united with their classmates and teachers to defend the school that shaped them (and also shaped more than one generation of readers and moviegoers), they're still so very young. 'The seventh novel, HP and the Deathly Hallows, was divided into two parts for the screen, for no reason other than an entertainment conglomerate's existential terror of pulling up its "tent-pole" without a fight, and the result, HPATDH 1, felt padded. Still, we needed these adaptations, even the unsatisfying ones. Good as J.K. Rowling is, she's no prose stylist. The movies put interesting faces to names and fabulous designs to humdrum descriptions. The last novel's clunky climactic wand-off, lacking emotional grandeur, begs to be bettered by the magic of movies. 'Expecto Patronum, it is! HPATDH 2 works like a charm. A funereal charm, to be sure, but then, there's no time left for larks." Review: Go watch the last Harry Potter movie! Your favourite Harry Potter memory? Tell us! Vote! 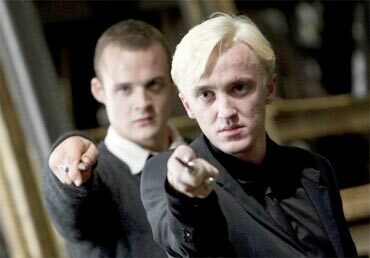 Your favourite Harry Potter character! 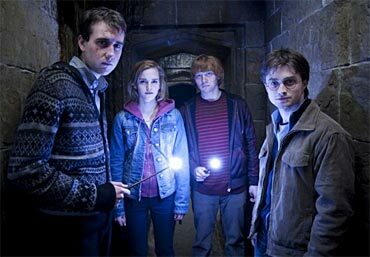 Eight fun facts you didn't know about Harry Potter!